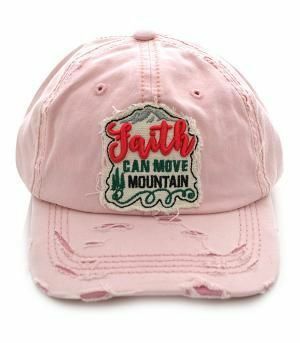 Supercute Faith Can Move Mountain Women's Baseball Style Cap with adjustable velcro on the back. The back design also says Faith Can Move Mountain. Distressed style, 100% Cotton by 4350 District.